Sherri wrote me to share that she is saving money on her birthday cakes by making them herself. She likes all the Betty Crocker birthday cake ideas. Personally, I’m a fan of skipping the big cake and making cupcakes for my kids birthdays. They are just easier to make, decorate and eat. But for a big party it is so fun to have a big cake decorated to match the theme of the party. Browse the list again for the new birthday freebies, you’ll find them in bold text. For the “no sign-up” birthday freebies I recommend calling your local store/restaurant to confirm they participate in these birthday promotions. Can you believe I’m still adding new ones? Thanks to the great comments and emails from my readers I’m able to add to and update this list every month. Qdoba’s is a free burrito with purchase of an entree. If you fill out a postcard at APPLEBEES, your little one gets a free meal within 30 days of their BDay. Applebees will mail it to you just before their birthday. 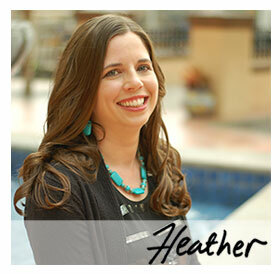 Heather, I have a link to two posts with TONS of birthday freebies here. Awesome list! I signed up a few days ago and have already printed coupons for free entrees, appetizers, desserts, shakes…etc. And Maggiano’s sent me $10 off the total, which I like even more than a dessert! Too bad they all have to be used in the next few weeks though :-(One I found online that you might want to add is free chips and salsa from Qdoba when you sign up for their rewards club, plus a free birthday “gift.” I haven’t received that coupon yet, so not sure what it is. You can also get free ice cream from Marble Slab. thanks for the update-i didn’t know about Target! I just got my Children’s Place coupon, it’s 15%, not 20%. Perhaps they’ve changed it? BOSTON PIZZA offers either a free gourmet pasta or a free dessert on your birthday (no other purchase necessary).